Shahid Kapoor's daughter Misha is creating a buzz again! Shahid Kapoor is busy with promotions for his upcoming and controversial film Padmavati. 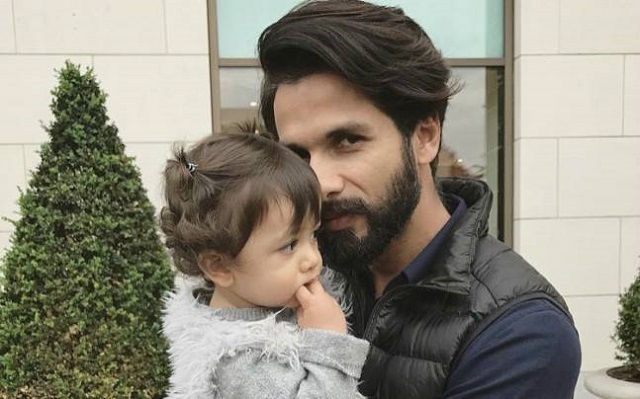 While the film is struggling amidst the number of protests and ban pleas, Shahid is seen spending his free time with daughter Misha. There’s no doubt that Misha is one of the most talked-about celebrity kids in the B-town. And it has turned out to be like this that Misha is very comfortable posing to the cameras. 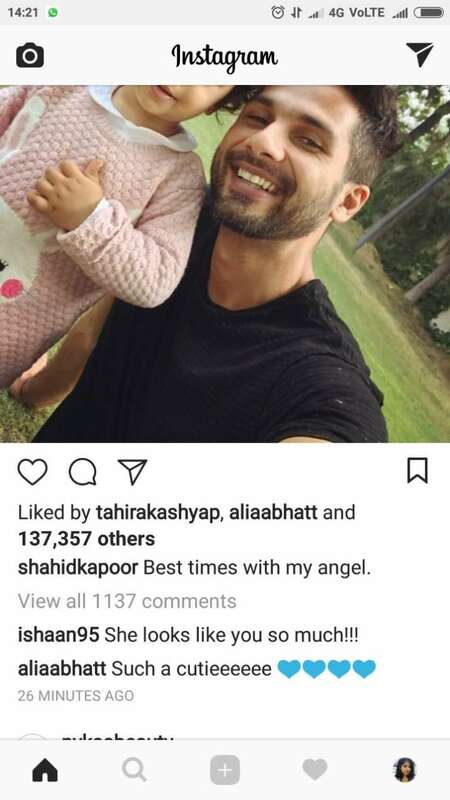 In the recent selfie posted by daddy Shahid Kapoor, the baby girl is looking as fresh as a rose. Check picture. Ishay is saying that Misha looks exactly like Shahid and we couldn’t agree more. It’s like he spoke what we already had in our mind. On Diwali, Shahid Kapoor posted a picture of Misha clad in a blue lehenga and we don’t have words to define it. It’s a candid shot of the baby girl, who is looking away from the camera. Isn’t it the cutest way to wish his fans on Diwali? On Saturday, mommy Mira Rajput also posted a boomerang video with daughter Misha. In the video, the mother-daughter duo is seen jumping on a trampoline. The caption is a witty one, we must say! Shahid Kapoor and Mira Rajput got married in 2015. In August 2016, the duo welcomed their first child Misha.